Hester Glass House is a family business begun by the artist, Randy Hester, in 1980, in Boulder, Colorado. In 1985, he moved to Vancouver, BC, as director of the West Coast Academy of Glass Arts. 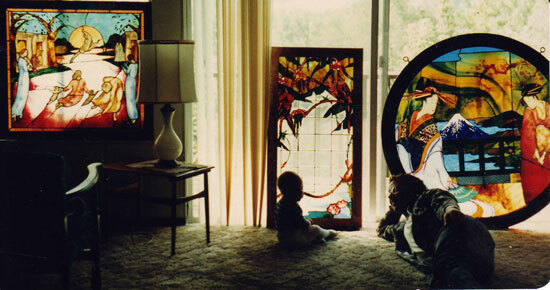 Finally, he and his family settled in Halifax County Nova Scotia, in 1987, where he has continued his work in Stained Glass Art. Please view the Portfolio for examples of his work.